Daniel Viejo will join Euskadi-Murias in 2019 with a two-year contract. The 20-year-old becomes a professional at the Spanish team. In the lower ranks, the rider has taken a total of 14 podium positions and has shown to be a promising fast rider, something that has also been evident in his career as a track cyclist. 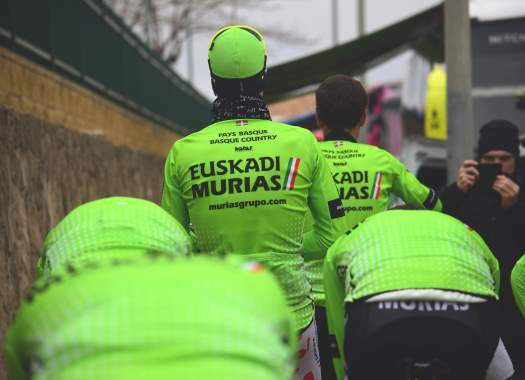 "This is a great opportunity in a team like Euskadi-Murias, which is a serious project that does things right. This year it has shown that it can achieve great successes" Viejo commented. "I am a fast man and I will try to get into the sprints and help the team in everything that is asked from me. Last year I already rode with professionals and that experience has given me maturity and the tranquillity of knowing that I can be there. Now I know the level of the peloton and I will work and I will fight to be among the fastest men, starting with Mallorca." Euskadi-Murias' sports manager Jon Odriozola welcomes this signing. "He is a young sprinter and with great potential, who has been formed in the Basque calendar and arrives from the development team of Caja Rural," he explained. "Despite his age, he will be one of the riders chosen by the staff to be one of the riders to be on top at individual stages along with Enrique Sanz and Mikel Aristi."